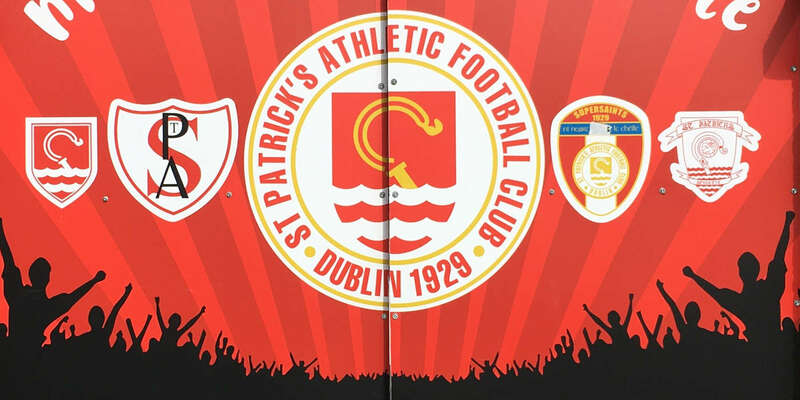 Rogers; Pender, Bermingham, Lynch, Kenna; S Byrne, Mulcahy, O'Brien (Faherty 70 mins); Guy, Doyle (Cash 87 mins), North (Stewart 90+3). Quigley; O'Brien, Frost (Cahill 84 mins), Williams, Hawkins; Browne, C Byrne (Gannon 79 mins), Finn, Kirby; O'Neill, Zayed (Crowe 73 mins). 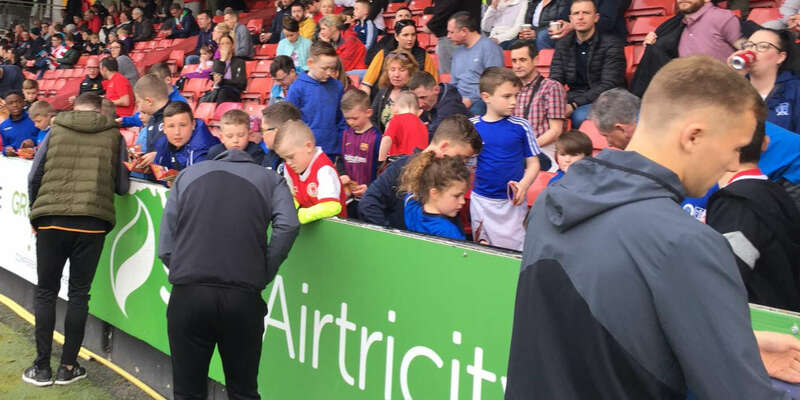 St Patrick's Athletic dumped holders Sporting Fingal out of the FAI Cup in front of a crowd of less than 800 for this lunchtime kick off at Richmond Park. Ryan Guy dispossessed Kenny Browne and smashed a right-footed shot past Fingal goalkeeper Darren Quigley for the opener on 22 minutes. Damian Lynch headed in the second on 52 minutes but Shaun Williams pulled one back for Fingal just a minute later with a cracking shot past Gary Rogers. Glen Crowe's header for Fingal on 73 was ruled by ref Richie Winter before Vinny Faherty stroked in the third on 86. The visitors started brightly and Eamon Zayed carved an opening for Fingal on six minutes when he swept the ball out Conan Byrne on the right wing. With three Pat's defenders closing in, Byrne managed to crack a shot toward the top right corner of Saints keeper Rogers' goal but Rogers as agile enough to make a one handed save. On 13 minutes, Pat's captain Lynch took a free kick from out on the right after Williams had handballed but Lynch fired his free directly at Quigley. Ronan Finn shot wide for Fingal on 15 minutes while a Derek Doyle corner for Pat's on 17 minutes was wasted by Conor Kenna, who beat everyone to the ball but could only smashed it back into touch. Fingal had shouts for a penalty on 19 minutes when Zayed's shot appeared to strike Kenna in the arm but referee Winter saw nothing in it. Ian Bermingham shot over the bar for Pat's from distance on 21 minutes before the Saints took the lead on 22. Browne took too much time on the ball and lost possession to Guy about 20 yards out. The American turned and cracked a superb right footed shot beyond the reach of Quigley into the Inchicore end goal. Fingal could have been back in it on 32 when they were awarded a free kick following Lynch's tackle on Alan Kirby, but Byrne hammered his free kick straight at the wall. Pat's Dave Mulcahy swung in a brilliant cross on 38 minutes which was met by the head of Derek Doyle but he couldn't keep his header under the bar. In first half injury time, Quigley parried Ian Bermingham's shot into the path of Guy but as John Frost raced in to block, Guy rifled off target. Fingal started the second on the offensive as they went in pursuit of an equaliser and Rogers saved Williams' free kick on 49. But it was Pat's who scored next, on 52 minutes, when James O'Brien's corner was met by Lynch who nodded in past Quigley from close range. 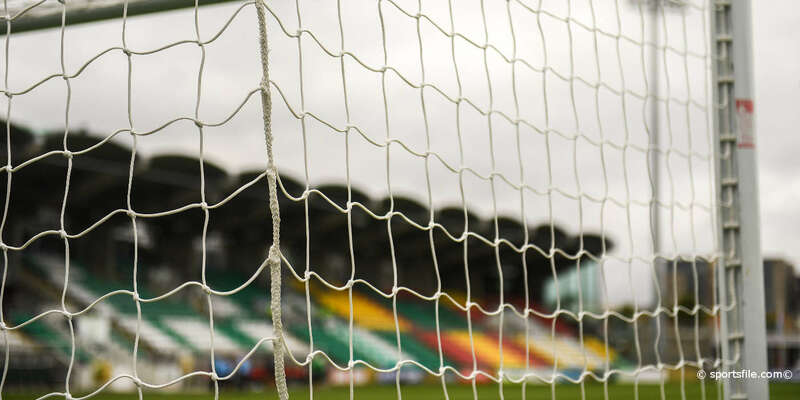 The lead lasted just a minute as an excellent Fingal team move direct from the re-start involving Byrne, Gary O'Neill and Zayed saw the ball delivered to Williams who unleashed a thunderous shot past Rogers into the top corner. Zayed should have done better on 62 when a quality through ball from Williams, from O'Neill's knock on, fell to him, but he missed the target when well placed. Crowe replaced Zayed for Fingal and had the ball in the net with his first touch when he headed in Byrne's corner on 73 but referee Winter saw an infringement as the ball came in and gave a free out. Fingal pushed on but Pat's wrapped up the win on 86 minutes when Danny North teed-up Faherty who shook of the attention of two defenders to curl the third goal past Quigley.